The University is certainly lacking in night life. Students seem to leave on weekends too frequently. I am not sure if it is because that there is no/minimal social scene or simply because it is convenient. I find most of the faculty to be bitter and having a sense of grave superiority. I have been having trouble finding a consistant group of people to socialize with as a result. I am willing to leave the excellent academic reputation the school has just to find an overall happier school. You make the effort to change things and there is a lot of apathy about change and making this school a better place. The surrounding area is average and there is a hospital very close by if needed. 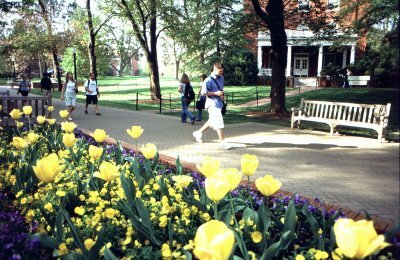 Gorgeous campus, very well kept but if UMW wants to keep students here (in my opninion)as a whole it needs to work on balancing the male/female ratio and provide some entertainment. I am probably going to transfer in hopes I do not run into this problem again. if you are looking for a big frat/party school this is not the place for you. i feel like it is so cliquey. however, if you enjoy a certain homogenousness to your life, this may be for you. princeton review on "what students say" is quite accurate. #25 Top Language - French/Spanish/etc.